Most news organizations today have been publishing online for the better part of a decade. Yet the systems and tools being used in the newsroom are often relics of an earlier era. That technological mismatch can hamper newsroom workflows, and even complicate the way that editorial interacts with the business. But just dropping in a suite of more modern equipment won’t fix the problem in itself. Going fully digital means adapting to a different kind of news ecosystem, characterized by faster-changing, more ambiguous conditions in the operating environment, along with a higher degree of interdependence between editorial and the business than was true of the analog newsroom. The technology infrastructure needed for such an ecosystem has to reflect those circumstances and be a product of adaptability and collaborative work between the IT department and working journalists from the start. "A digital newsroom is not just a new set of technologies; it’s also a different way of working with content." That’s the conclusion that Australian Associated Press (AAP) came to when it decided it needed new software to run all of its editorial operations several years ago. It wasn’t just a matter of upgrading the main news production platform and legacy editorial systems that had turned into technology bottlenecks, taking up valuable time and energy in the newsroom. AAP wanted a forward-looking system that would allow news content to be described and packaged with structured data formats for improved content discovery and distribution. At the same time, the system also needed to be Lego-like in its capacity for additional system features or even new third-party services to be snapped on and off. When AAP approached us at Sourcefabric in 2014, we had similar ideas for a new kind of open-source, flexible publishing platform, but they had not yet been encoded into a working system. The newsroom software we called Superdesk was still only a prototype. Forming a co-development partnership with a news agency like AAP represented an opportunity to “capture the journalistic DNA of a living, breathing specimen,” as our founder Sava Tatic put it at the time. 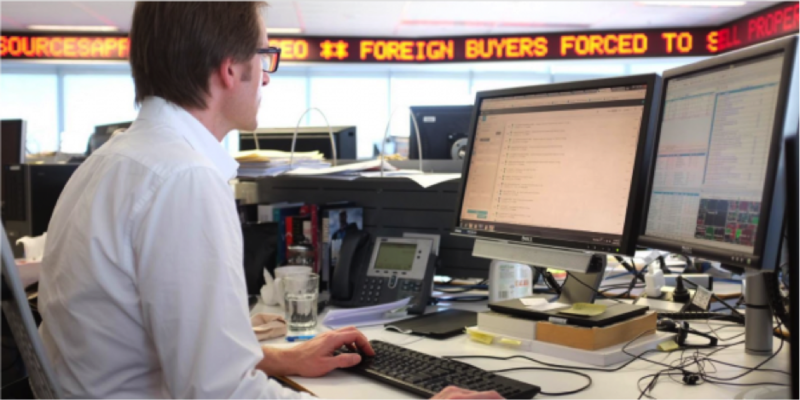 The task of the 22 months that followed was to build a real-world implementation of Superdesk at AAP, with coders and engineers sitting next to reporters and editors in the newsroom. The AAP product team in a technical meeting. Why was that important? Vince Ryan, the lead project manager from Sourcefabric who was on site in Sydney, said it is often the case that a developer doesn’t “get” what a journalist wants to achieve by looking at only a JIRA ticket [describing a project feature or bug]. “JIRA tickets often miss essential information because the person writing the ticket leaves out what she thinks is obvious. What is obvious to a journalist is not obvious to a developer, and vice versa,” he said. Having said that, we are fortunate to have several former journalists at Sourcefabric who are also conversant in software involved in the ongoing development of Superdesk. Here are some key lessons learned from those who led the implementation at AAP. 1. Get editors and writers on board early — and keep them engaged. “In a good project, the journalists would be involved and feel ownership from the start,” Ryan said. Before the project even launched, AAP undertook a major effort to interview people across the newsroom and in bureaux to gather requirements and feature requests. Then, a project scoping team from Sourcefabric went to AAP headquarters in Sydney to see how the newsroom worked. They held conversations with a range of people from the IT department, both developers and strategic IT planners, as well as reporters and editors. Focusing on the editorial staff’s user experience, project managers elicited feedback about what the journalists did and didn’t like about the current system. “Workflows are best defined by their users, not managers,” Ryan said. The Sourcefabric team also documented how people actually worked in the newsroom, with photos, videos and process descriptions. All of this information went into the backlog of the project which was run according to the Agile method of software development. Agile specifies the features and functions to be built, and then iterates and refines those working items over a series of two-week development sprints. “During development I frequently had journalists come and see what we were doing and I invited their comments and input. I was in the newsroom, so it was easy to do at any time,” Ryan said. The first lines of AAP-specific code were written in mid-2014. The Superdesk system was fully built and implemented by the middle of 2016. This was the third and final stage when the involvement of newsroom staff paid off. As the system was rolled out, journalists who had been appointed as super users helped their colleagues with the new technology. “They were leaned on heavily during the early days,” Brook Thomas, Chief Technology Officer & Operations Director of AAP, said. The proverbial curtain comes down on a successful rollout of Superdesk at AAP HQ late 2016. 2. Get the business involved. In the case of one AAP business division that provides sub-editing services to other news outlets, staff can now use the system’s newsroom overview to see the stories that are in progress, who is working on them and find out when they likely to be done, making it easier to plan the process of selecting stories from the wire service and sub-editing them for onward distribution. In another example, the PR and communications division benefits from knowing what events are upcoming and how they will be covered. And in general, both sides of a news agency benefit from greater transparency around news production. “Salespeople tend to perform better when they have a working knowledge of what it is that they are selling,” Vince Ryan said. 3. Cultivate a new mindset for digital. A digital newsroom is not just a new set of technologies; it’s also a different way of working with content. Thomas observed that “we’ve seen our journalists adapt to web and digital concepts that were previously not a consideration with the old platform”. One of the reasons we chose the NewsML-G2 specification as the main structured data format for Superdesk is that news that was once relegated to the archive can now be re-used, packaged and distributed in novel ways. Stories can also be told with more context and rich multimedia assets. Going forward, AAP is looking to develop a digital-native content platform based on Superdesk’s APIs that offers the full range of its news production to customers. The idea is to not only consolidate several disparate web products into a single suite, but also to reduce the friction that AAP’s customers have long experienced when trying to access and navigate to content. For some customers, they might simply opt to access content via an API, which AAP has been unable to offer comprehensively in the past. Finally, the biggest takeaway may be that going digital means embracing the idea of newsroom systems being a permanent work in progress. As the last few years have demonstrated, the online news landscape is one of continually shifting sands. Advertising-based models can only be one part of any holistic revenue strategy, for instance, and publishers also have to be ready to embrace the emergence of even unlikely-seeming distribution platforms like Snapchat both technologically and philosophically. News outlets have to look for common cause and areas of shared benefit with others in their ecosystem (which is also an argument in favor of open-source software). This applies both to the external view, namely with other news organizations which were previously considered either to be customers or competitors, but which may now fall into multiple categories of customer, collaborator and/or content partner. This cooperative lens is also needed internally, to overcome the “digital divide” that has often separated the tech department of a news organization and its journalists in the past. When journalists and coders sit next to each other in the newsroom, they will be able to build tools made for a shared digital future. Anna Rohleder is a journalist who has worked in the tech industry in both Europe as well as the US. She has been involved in research and communications for companies including Gartner, SAP, Opera and Sourcefabric. As a journalist, she has written for the International Journalists’ Network, Forbes, Businessworld and LEO Weekly, among others.